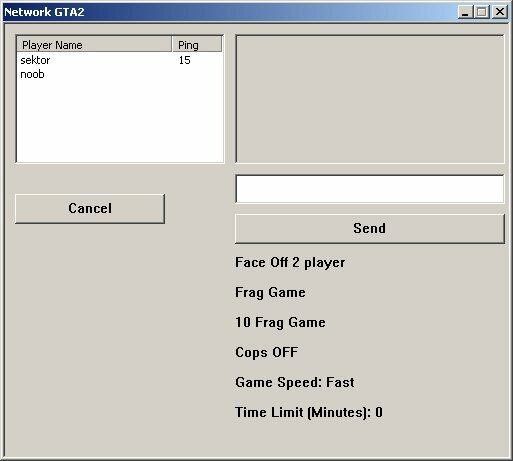 How do I play GTA2 multiplayer online or on LAN? Tell your friend your IP address [show_ip]. 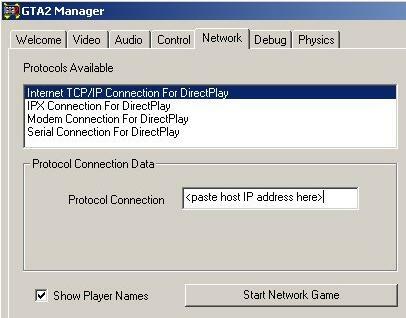 If you are playing on LAN then you could get your IP internal by running cmd.exe and typing IPCONFIG or just leave it blank. Tell your friend to join your game and then wait. Get the host IP address and copy it to the clipboard. Click Network, select TCP/IP and put the host IP address in the protocol connection box (on LAN you can leave it blank or put the LAN IP). If you see your friends game then click Join. Close anything that is using bandwidth or any app that could popup a window and wait for the host to start. 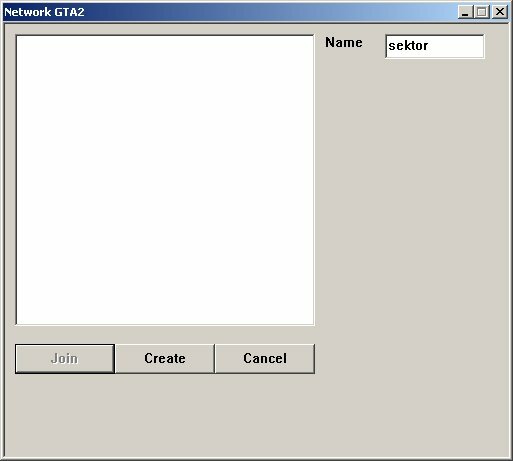 GTA2 router setup info - It used to be more detailed but now it just links to portforward.com since they have screenshots for hundreds of routers. 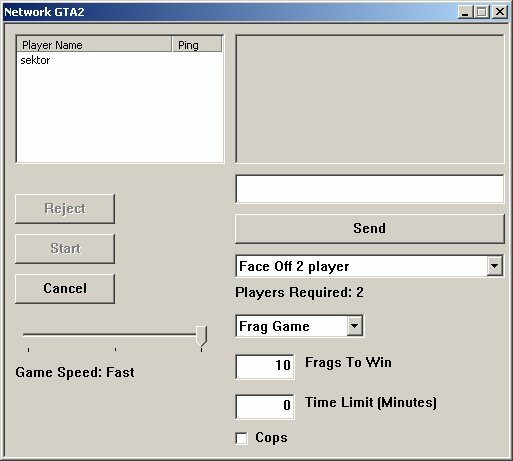 If it doesn't work then read the GTA2 multiplayer FAQ. On a LAN, UPnP and firewalls can still be a problem, so try and disable both of those. Disable UPnP and firewalls on LAN. what if it doesn’t move to step 5? when i click on “create” nothing happens but the process “gta2.exe” is in the taskmanager. when i try to join i cant see the game. its on lan and the network definetly works, got 2 mates playing. windows firewall is turned off and they are in the same network group. one with windows 2000 one with windows vista, im on windows xp. can any1 help? If nothing happens when you click create then it usually means TCP/IP isn’t selected or some other application is using port 47624. If those are fine then maybe you need to reinstall DirectX. dude it’s work thanks !!! Is there any fix so you can play more than 4 people? Would like that a lot! Der Ballermann kriegt nix auf die Reihe, der alte Ferkelskopp! 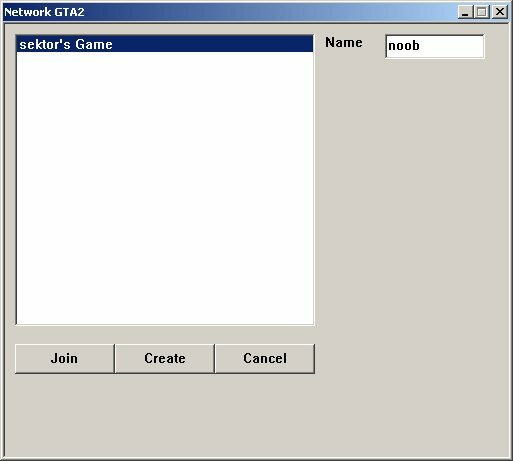 how can i download the GTA2 Manager.exe and where?? Im waiting for anyone online. hi all! Everything works! well… almost everything. I see the game in the list, but when I try to join, my program stops responding. Does anyone know what could cause this/ how to solve this? It usually means the host doesn’t have port 2300-2400 open or UPnP needs to be disabled.